Katherine Sharman, originally from New Zealand, won an Arts Council scholarship in 1983 to study in the UK and Europe with several teachers, including Tanya Prochazka, Jennifer Ward-Clarke and Steven Isserlis. Kath has since settled just down the road from Adderbury in King’s Sutton, Northamptonshire, and now enjoys a busy career performing as continuo player and chamber musician with a wide variety of groups. 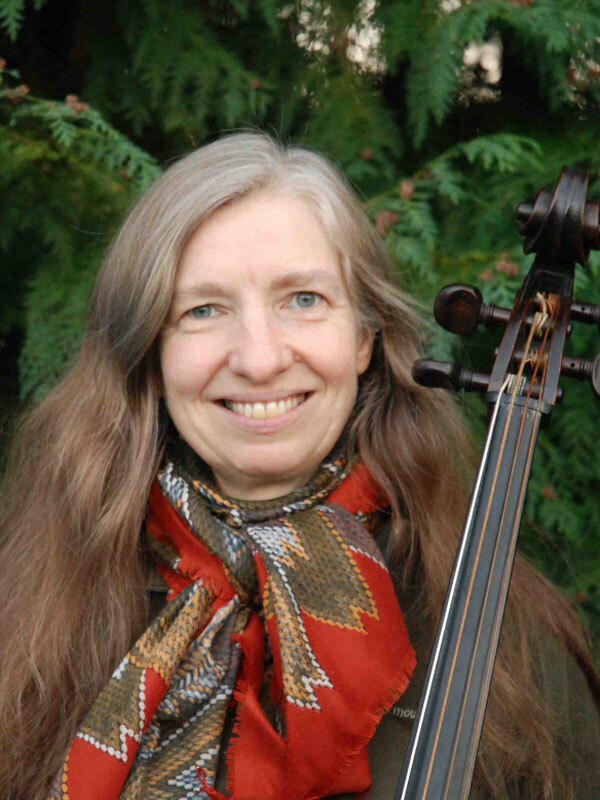 Kath has performed and recorded as continuo cellist with many orchestras, including the Orchestra of the Age of Enlightenment, the Gabrieli Consort and Players, the King’s Consort, the London Handel Orchestra and the Academy of Ancient Music. She has also been involved with concerts and recordings of many and diverse chamber music projects, including duos with fortepianist Geoffrey Govier, world music with Orbestra, viol consorts and most recently a collaboration with renowned baroque dancer Mary Collins, exploring the Bach Cello Suites. Kath’s most treasured music-making however is the closest to home, playing chamber pieces with her friends and colleagues in the Adderbury Ensemble.